Carol Beckwith and Angela Fisher are included in a group exhibition at Holden Luntz Gallery in Palm Beach, FL, along with nine other female photographer luminaries, including Margaret Bourke-White, Ruth Bernhard and Imogen Cunningham. 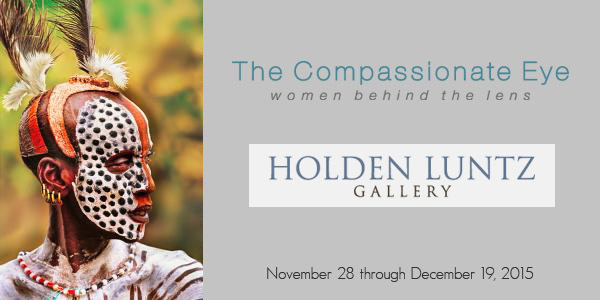 Providing an overview of the critical contributions that women have made to medium of photography, “The Compassionate Eye: Women Behind the Lens” celebrates the unique ways women have utilized the camera from the early twentieth century and beyond. The six included photographs by Carol Beckwith and Angela Fisher, are the result of a long, enduring and deeply respectful relationship with African tribal peoples. Their work preserves and presents the power, complexity and celebration found in African tribal life.